Don and Molly live it up on Don’s new Bay Raider, Swallow Boat. 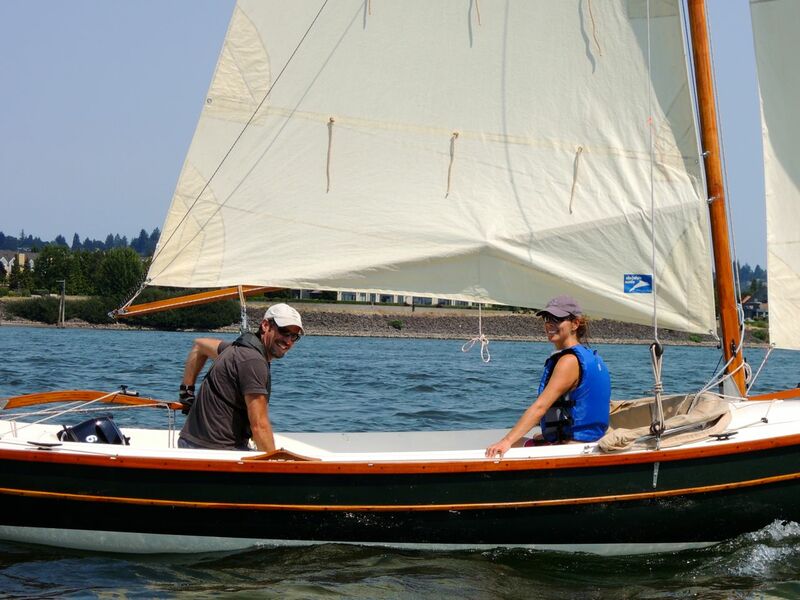 Sailing is fun. You wouldn’t think you’d have to say that, but browsing boat magazines and websites, one could get the idea that boats are about being tough, doing grueling maintenance, or traveling to exotic locales. No folks, they’re definitely about fun. 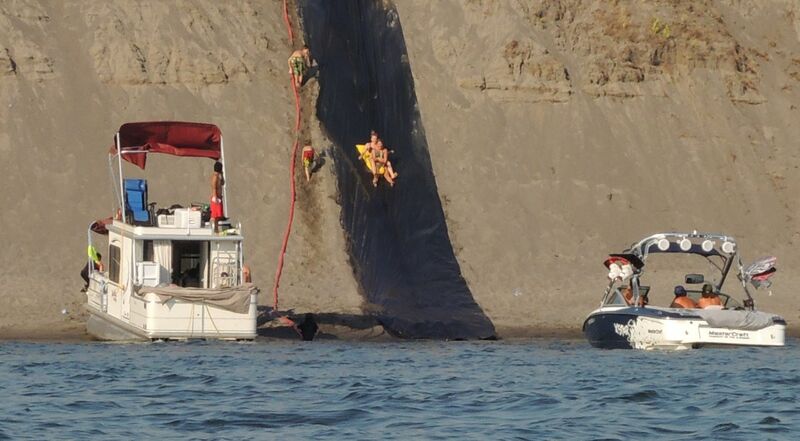 For some of us, fun is motoring out to a sand island a riding down the world’s largest slip and slide. 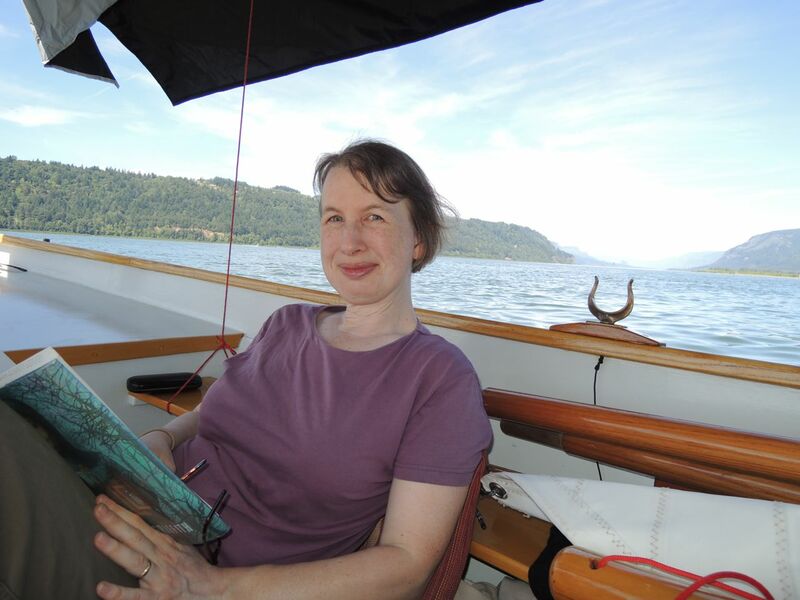 And for my bride, fun on a boat is anchoring in the Columbia Gorge and reading in the shade. 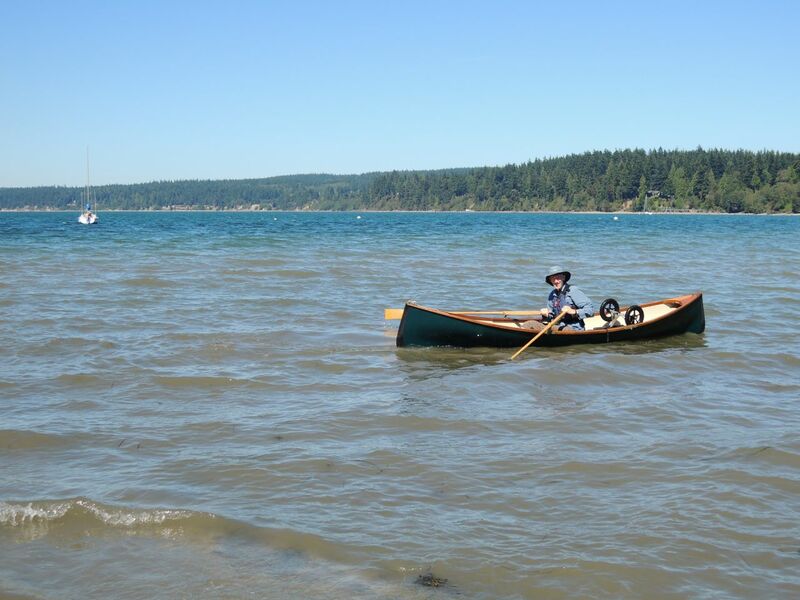 I think it’s fun to row in choppy water where the waves lap into my boat. 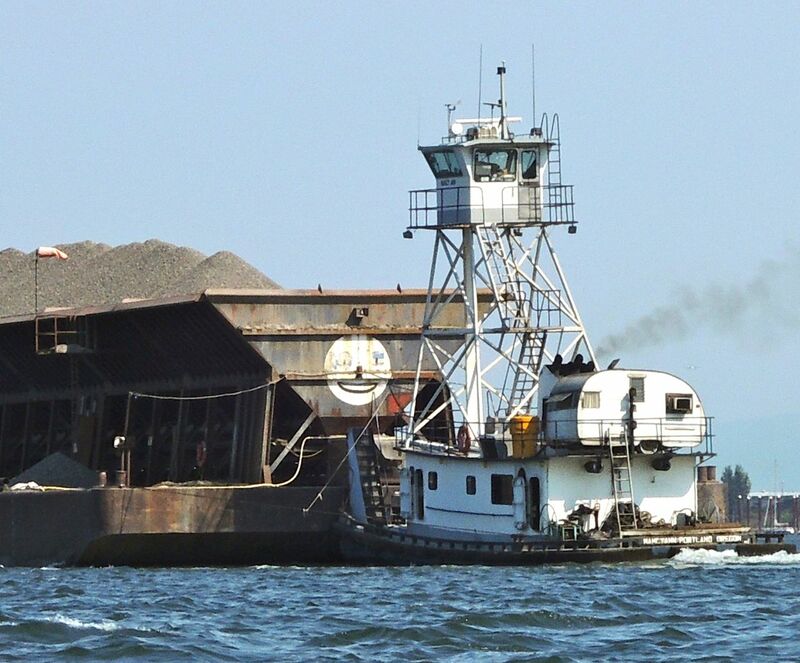 Heck, even the guys on this barge know that boating is fun. Check out that happy face. What do you think happens inside the travel trailer lashed to the back deck?